Over the past 40 years, David Bryant has been defined as a “messenger of hope” and a “Christ proclaimer” to the Church throughout the world. Formerly a pastor, minister-at-large with the InterVarsity Christian Fellowship, president of Concerts of Prayer International (COPI), and chairman of America’s National Prayer Committee, today David provides leadership to Proclaim Hope! whose mission is to foster and serve a nationwide Christ-awakening movement. 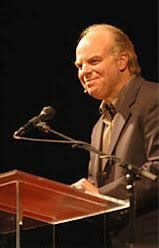 For decades, David played a widely visible role in the emergence of an unprecedented, worldwide prayer movement by building on citywide mass prayer rallies; organizing national and international conferences; creating training videos, seminars, and manuals; developing leadership coalitions; mentoring of younger leaders; and sharing his message by radio, television, and podcasts. All these books are featured at DavidBryantBooks.com. To strengthen this movement, David has created an in-depth learning experience called The Christ Institutes (TCI). The goal of its extensive teaching is to help Christians gain a much larger vision of who Jesus is right now—what he’s doing, where he’s headed, and how believers are transformed by living in the fullness of his supremacy. TCI has been professionally filmed and is now offered online at no charge as a nine-session course called The Christ Institutes Video Series (TCIVS). A follow-up companion to the TCI course is Christ Is ALL! (over 500,000 Mandarin versions alone are being used to train Chinese church leaders). As another way to foster Christ Awakening movements, David and his team have spearheaded the first-ever website of its kind, ChristNow.com. There’s nothing else like it anywhere on the web today. ChristNow.com provides a central hub for ever-expanding, free resources from every stream of the Church. It offers teaching and worship videos on many aspects of Christ’s glory and reign, video testimonies about personal awakenings to Christ, regular blog posts and audio devotions on our Lord’s reigning majesty—and so much more. For example, there’s a free, nine-week daily email and video series to guide Christians in spending a few minutes a day focused on growing a larger vision of Christ. Every day the impact of ChristNow.com reaches a growing number of followers across the nation and globe through Facebook, Instagram, and Twitter, as well as the free ChristNow app. David and his wife, Robyne, were high school sweethearts in their hometown of Massillon, Ohio. They now call metropolitan New York City their home. Their three grown children, Adam, Bethany, and Benjamin, were adopted as infants from India.